Your growing business deserves the right space and community to help it flourish. Come join a coworking community, rooted in your local neighborhood, designed to help you get working. No hype, just great service and great amenities. and get a free day pass to work with us on the day of your visit! Do You Like To Change It Up Every Day? Then Flex Desk is the option for you! Choose your hours (unlimited, 80 hours or 40 hours), and move around among our BCL Flex Desks. 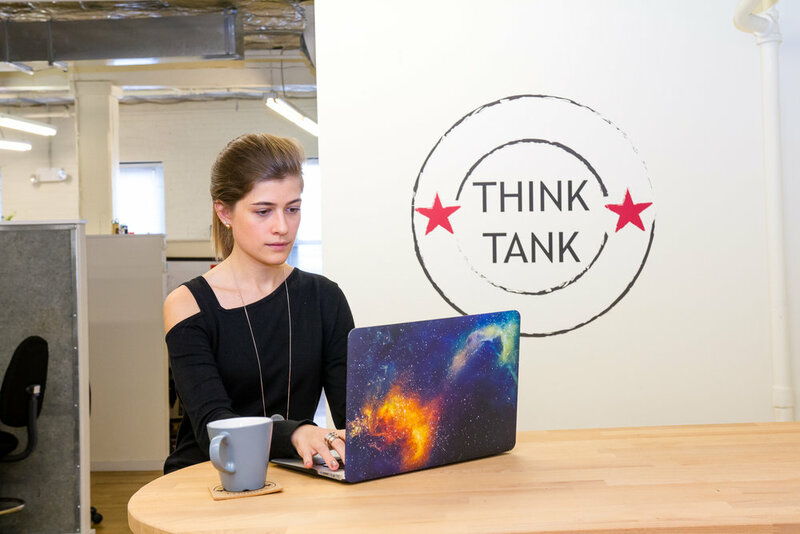 Get some focused work done in the Think Tank, our no-phone quiet zone. Spread out at a roomy 8-foot desk where the vibe is a little buzzy. Soak in the sunlight at our window workbar. The options are endless! Only 1 month deposit (plus $75 annual membership fee). Reserve a space through our Member Portal in 1-hour blocks. Locked storage available – no need to schlep your files, books, and other work materials around town. 50 free photocopies per month, unlimited printing/scanning. Need A Place Of Your Own? 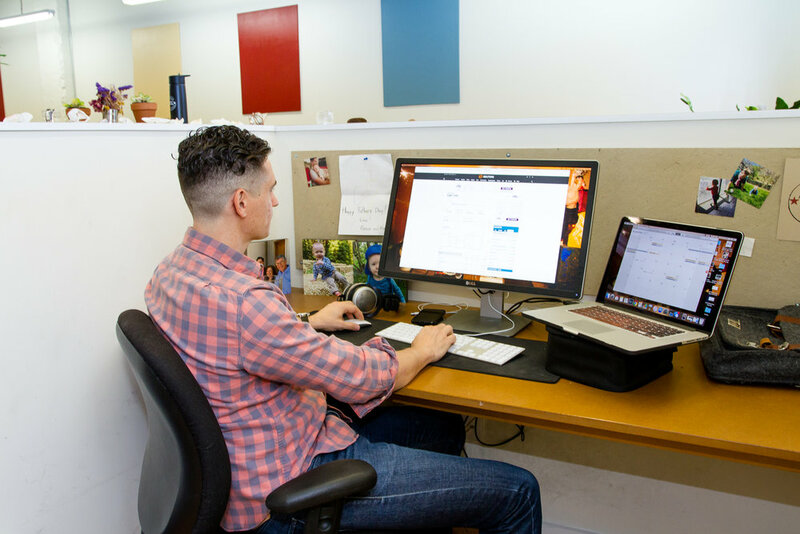 Our custom-designed, partitioned Full-Time workspaces start at $525 for a six-foot desktop. Eight-foot desk spaces are $600 or $625 for a primo desk by the window. Set up your Mac or PC, arrange some family pictures, put out a nice plant — it’s yours. 50 free photocopies per month and unlimited printing/scanning. In addition to full-time and flex memberships, our offices are ideal for teams of any size—from three to thirteen. Each private, closed-door office is furnished to spec, and comes with all the necessities to help you grow your business: redundant gigabit fiber internet, utilities, free printing, mail and package service, and free use of our conference and meeting rooms. Discounts on business services and local merchants. One convenient monthly invoice. No hidden fees.